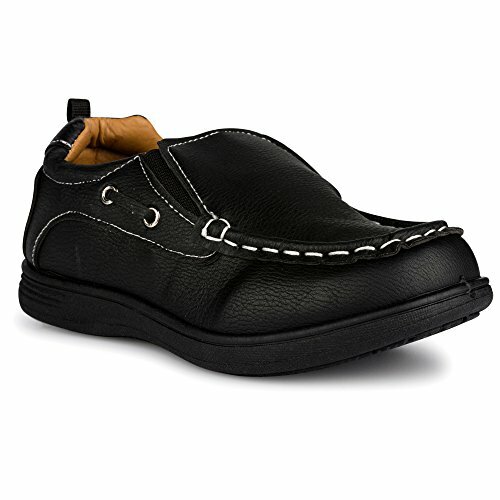 Our classic boat shoe is comfortable and stylish, whether you wear it for work or play. The boat shoe is a classic style and timeless staple for dock-side and beyond. 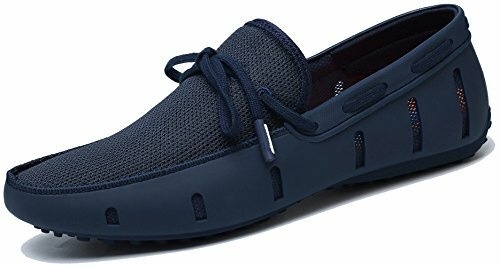 It features nautical style laces, a flexible sole with excellent grip, easy to slip-on style, iconic design, and breathable canvas upper perfect for the spring or summer. 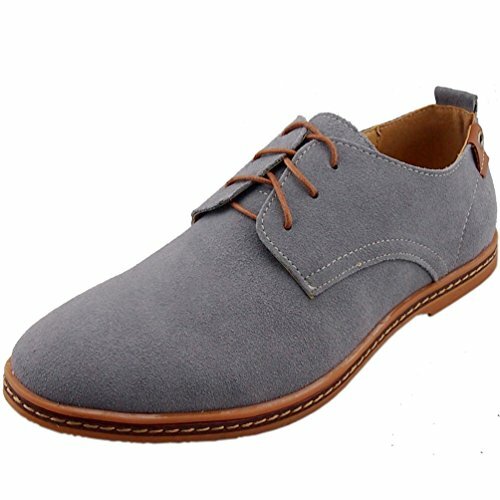 This shoe is the perfect casual choice to fit your laid back lifestyle. Detailed stitching and overlay paneling add style. Lace-up front for a customized fit. Cushioned tongue feels nice on the foot. Logo embossed on the side and stitched on the tongue. Textile lining and memory foam insole. Finished off with a synthetic outsole with tread for traction. 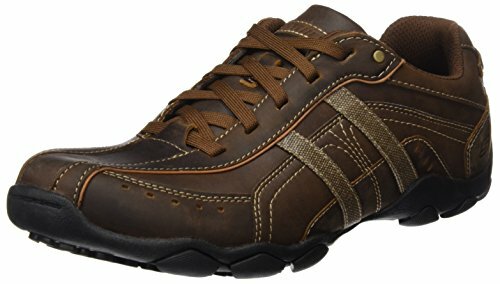 Department Name:Adult Shoe ;Type:Top Sider Mens 1 Eye Boat Shoes, Moccasin-gommino; Width:Medium(D,M);Brand Name:Adadila;Feature:Breathable,Massage, Comfortable, Waterproof, Anti-slip;Upper Material:Mesh (Air mesh) or Leather ;Insole Material:EVA;Outsole Material:Thermoplastic Polyurethanes . Size Chart: US size 7 = EU size 40 = Foot length 9.65"-9.84"US size 8 = EU size 41 = Foot length 9.84"-10.04"US size 8.5 = EU size 42 = Foot length 10.04"-10.24"US size 9.5 = EU size 43 = Foot length 10.24"-10.43"US size 10 = EU size 44 = Foot length 10.43"-10.63"US size 11 = EU size 45 = Foot length 10.63"-10.83"US size 11.5 = EU size 46 = Foot length 10.83"-11.02"US size 12 = EU size 47 = Foot length 11.02"-11.42"
Chillipop shoes for kids, toddlers and babies come in all styles, shapes, bright colors and fun patterns. From jumping in puddles to building a snowman to spending the day at the beach, Chillipop has your child’s feet covered in fashionable and functional shoes. Designed to be comfortable without sacrificing style, Chillipop offers both trendy and classic designs that stand out, whether it’s glitter high-top sneakers, flower jelly sandals, shark print rainboots or canvas, laceless slip-ons. 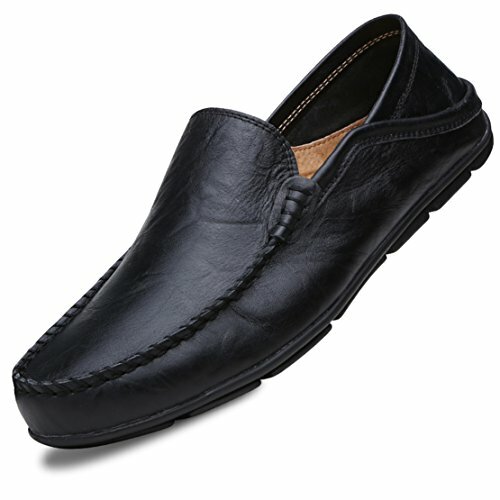 Chillipop is known for providing premium quality shoes at excellent prices. We know that little feet grow fast, so there is no need to spend a lot on shoes that may only be worn for a few months. That’s why Chillipop is the brand to choose for your little cutie’s feet, all year round. Chillipop Boys Baby and Toddler Deck Shoes Make a Splash for Special Occasions! 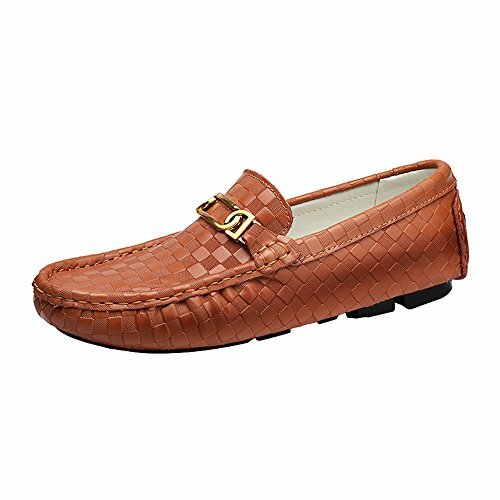 When it’s time for your boy to clean up and dress up, these deck loafers are the shoes to choose. 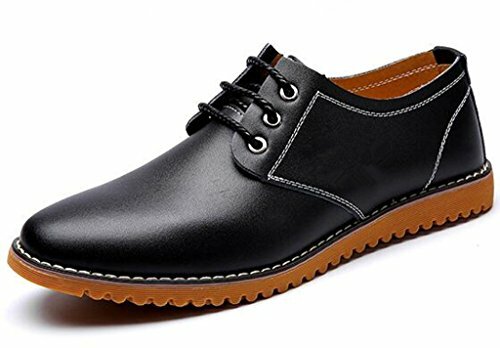 Style Features: Black faux leather upper Contrasting white rubber sole Lace-less slip-on style Stitching and side lace detail Chillipop Boys Shoes Sell Out Fast, so Buy Now While Stock is In! 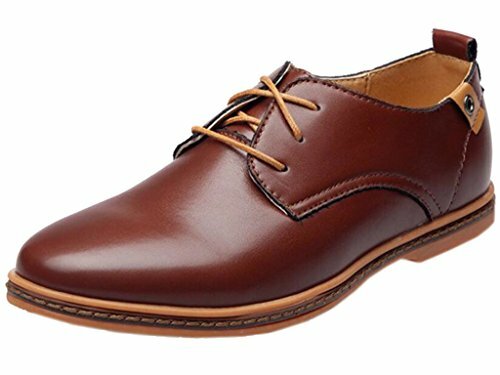 Outer Material: Leather Inside Material:Synthetic Sole: Oxford Heel Type: Flat Shoe Width: D "DADAWEN"Genuine Leather Oxford.Delicate shape, compact machine sewing thread. High quality leather. 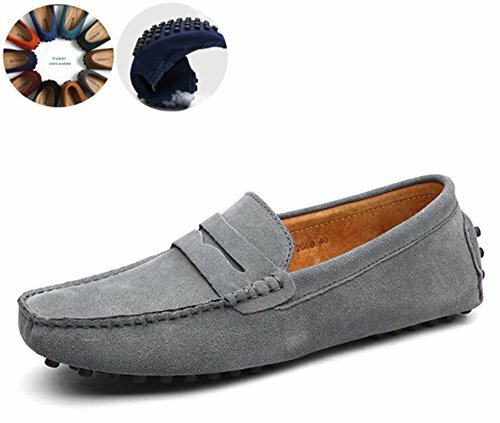 Good shoes always give a person a kind of comfortable.Both in material selection and design is unique, and highlights the male gentleman poise. Material: Leather Sole: Oxford Heel Type: Flat Shoe Width: D DADAWEN focuses on traditional lines and superb comfort in this handsome lace-up.It was founded on the belief that the best way to create a healthy and happy lifestyle is to promote total health and fitness.blend casual style with a refined leather construction, offer a cool casual look that is ideal for everyday wear, looks great with a broad section of your wardrobe. Perfect for Work, Dress, and All-Occasions!!! To help you choose correct suitable size easily, we have convert into US size for your selection. Thanks for your shopping. 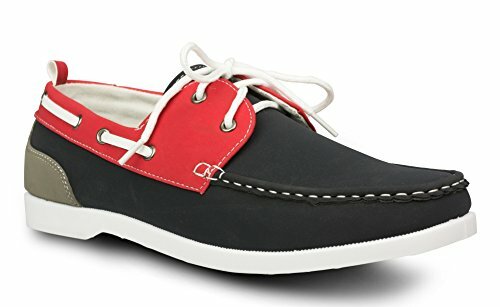 Compare prices on Guy Boat Shoes at ShoppinGent.com – use promo codes and coupons for best offers and deals. Start smart buying with ShoppinGent.com right now and choose your golden price on every purchase.